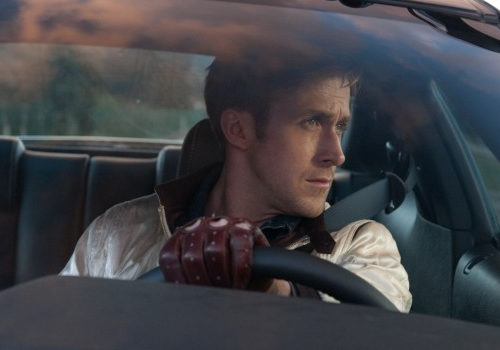 By now you’ve probably heard all sorts of ‘hype’ surrounding the release of “DRIVE” to the cinemas. Besides the over-ambitious title, and the blatant Steve McQueen-like imitations of Ryan Gosling in the photos and trailers leading up to the release of the film—–I feel it would be appropriate for a petrolhead perspective on the film. For the first 15 minutes of this film, I sat in my seat in awe—–thinking that this may join the ranks of one of the greatest car films/films ever made. My mind slowly changed over the course of the next 1 hour and 25 minutes as “Drive” entertained the hell out of me, but fell into the trap of uber-violence, as american films generally tend to do. That being said, the classic Steve McQueen-isms and the slightly over-acted role of Ryan Gosling actually work pretty damn well. The degree of straight up violence in this film is pretty heavy, so don’t think that watching a V8 being dismantled is what’s around the corner. You are in for some gore. From the perspective of actual driving and automobile references in the film—-i think there are many references to the love of actually driving, rather than the love of automobiles. The Dodge Charger Chrysler 300c (thanks Anon) vs. Ford Mustang chase in here, which only lasts a minute or so—-is a good one, but a blatant tribute to one of the most famous car scenes ever put onto film from “Bullitt”. Other than that, there are some decent car scenes, but i am pleased they were not drenched in absurd special effects like other hollywood car films tend to be. The guy loves to drive though, and he’s got perforated driving gloves to back it up! Those driving gloves (see picture) are a nice touch. I’m not sure why they gave him an old grey Chevy Malibu to drive in the rest of the film, however the car is obviously ‘modded’ (interior and exterior). All in all, this film is the perfect combination of “Bullitt”, “Taxi Driver” and the utterly fantastic TV series “Dexter”. It is violent, interesting, and very well made. The soundtrack is cool, the cinematography is cool, and the acting is good. I enjoyed the film very much, although I think it could have been EVEN better with a bit less violence, and some better cars.